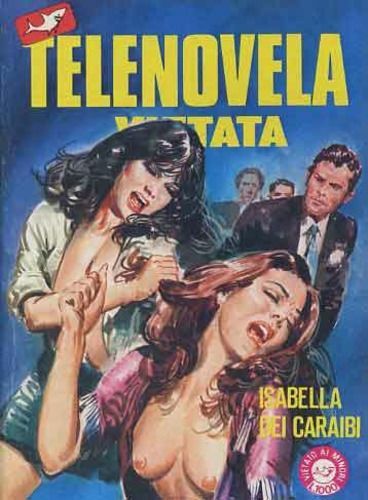 Original cover for the 15th album of the 1st series of “Telenovela Vietata”, “Telefilm Proibiti”. Tempera on cardboard, 22 x 31 cm. The album is not present, the image is for reference only.